1. 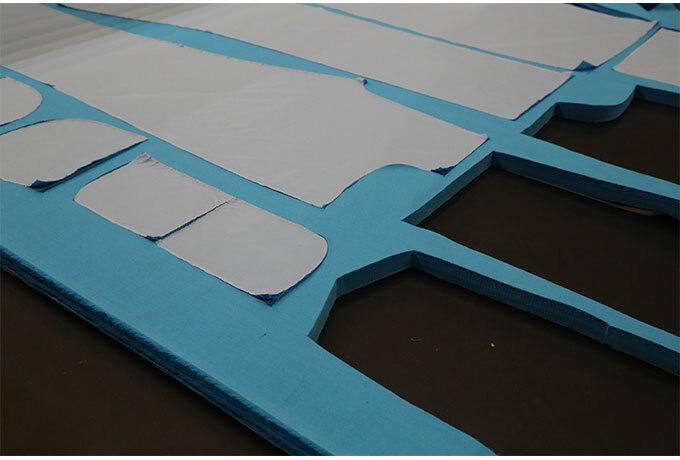 Machine cutter head is adopted with entire aluminum die casting structure, no oil lubrication required that make no risk on fabric staining. 2. Cutter head critical driving parts having special treatment, that is to increase the durability, lengthen the life-time, and lower the running cost. 3. 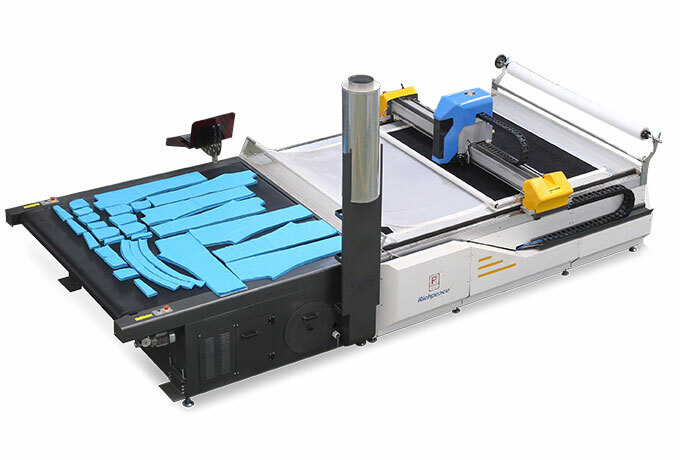 Intelligent cutter with intelligent speed control, automatic compensation of side stress to ensure the perfect quality of the cutting pieces. 4. Diamond grinding stone automatic sharpen device, automatic sharpen cutter and intelligent control its wear & tear level, keep the cutter sharp and longer the life-time. 5. Self-developed with intellectual property computer control system, able to preset cutting parameters, directly con-necting to computer is possible, or operation without computer connected. 6. 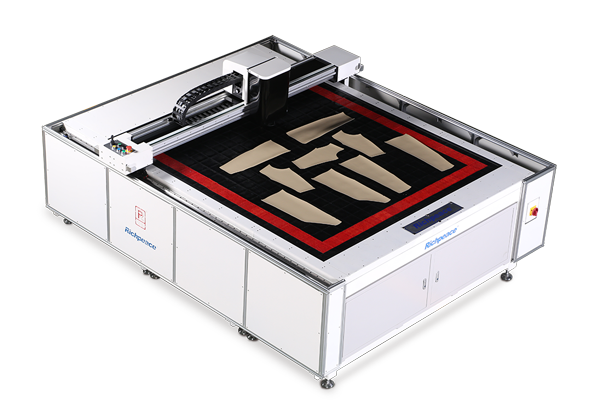 Real-time cutting control features, real-time tracing and display the cutting, alert with diagnosis. 7. 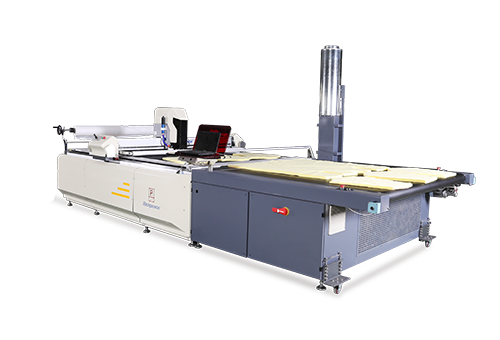 Automatic frame by frame cutting continuously, able to cut any length cutting pieces. 8. The conveyor automatic unloading system, automatically detect the finished cut pieces will be sent to cutting machine material collection table. 9. Vacuum pump is programable and frequency controlled to ensure sufficient vacuum suction for the cutting, while fulfilling the requirements of energy saving and environmental protection. 10. Multi-directions safety protection device, can be controlled to stop manually at any time.